Are your kids dressing up today? If so, head over to Krispy Kreme Donuts and get a free donut! No purchase necessary, they can choose one of three select Halloween donuts. Print the coupon and take it with you! Dining out with the kids Halloween addition! FREE Kids meal for kids age 12 and younger who are dressed in a costume on Sunday, October 31. Limit two (2) free kids meals for each adult entrÃƒ©e purchased. Coupons Oct 29, 2010 in Halloween · Expired! If you haven’t bought your candy yet, here are several more coupons available! If you are still trying to find that perfect costume, check out the Disney Store. They have costumes as low as $13.99 and you can still get free shipping. The free shipping offer ends today! This is also the last day to guarantee your costume will get to you on time! Head over to the Disney Store before it’s too late! Offers Oct 21, 2010 in free, Halloween · Expired! Halloween candy can get expensive. Here are a few great coupons for candy. Hurry over to Vista Print and get a FREE Halloween tote bag just in time for Trick-or-Treating! This cute Halloween bag is FREE! They have several to choose from. Be “green” this Halloween and get a re-useable tote bag! There are so many great deals on Halloween costumes right now. I will try to keep up with all the deals going on. For now, here is a list of deals available for the whole family! Amazon.com has a lot of Halloween costumes on sale! Free shipping with Amazon Prime! Walmart.com has some great Halloween costumes online at a great price. BuyCostumes.com: Huge selection. Select sale items as low as $3.99! I really love Halloween, but I loathe buying a costume. There is nothing frugal about buying something for a one time use. However, I was able to get a really cute used puppy costume for my daughter. Before I found the costume I found a great site, BuyCostumes.com. 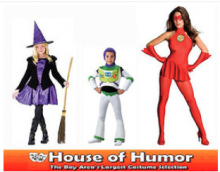 You can get kids costumes as low as $3.99! If you are looking for a frugal deal on a Halloween costume, check out BuyCostumes.com.